After having spent about a week in Quito, Ecuador I was struck by several things, rather immediately. The first is the beauty of the place. I hope I never reach a point in my life where seeing a view like this feels commonplace. 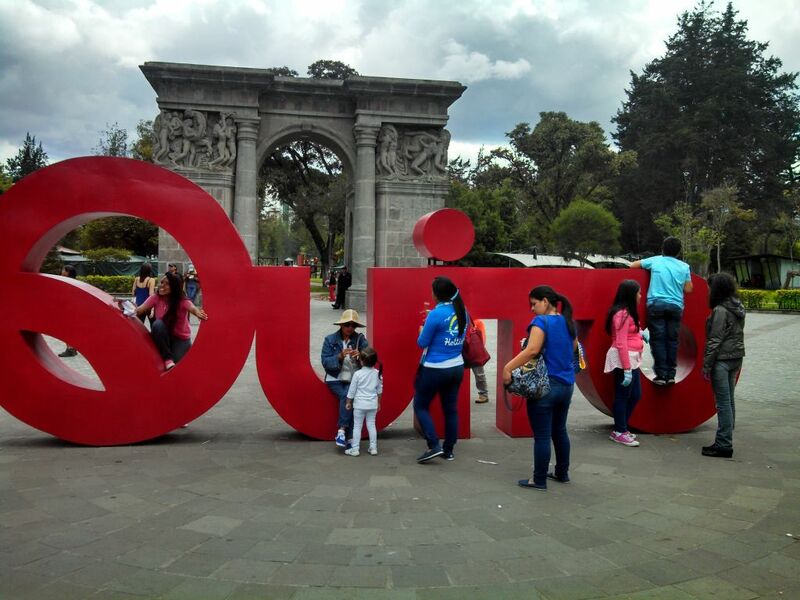 The second is that Quito is not a relaxing place for those who are new to it. The prevalent cars, buses and taxis use their horns not as warnings of impending danger but as a way of standard communication. Anything from a taxi honking to ask if you want a ride, to proclaiming irritation at a red light or slow pedestrians. (We asked one of our drivers if he felt honking at the light would make a difference. He just smiled and shrugged his shoulders. It is what it is.) Beyond the traffic and noise there are constant warnings about potential dangerous areas and stories about people getting cameras snatched out of their hands in broad daylight. After a few days Sean and I were still feeling a bit raw and needing to regroup and take a deep breath, or 2 – the air is pretty thin for those not acclimated. 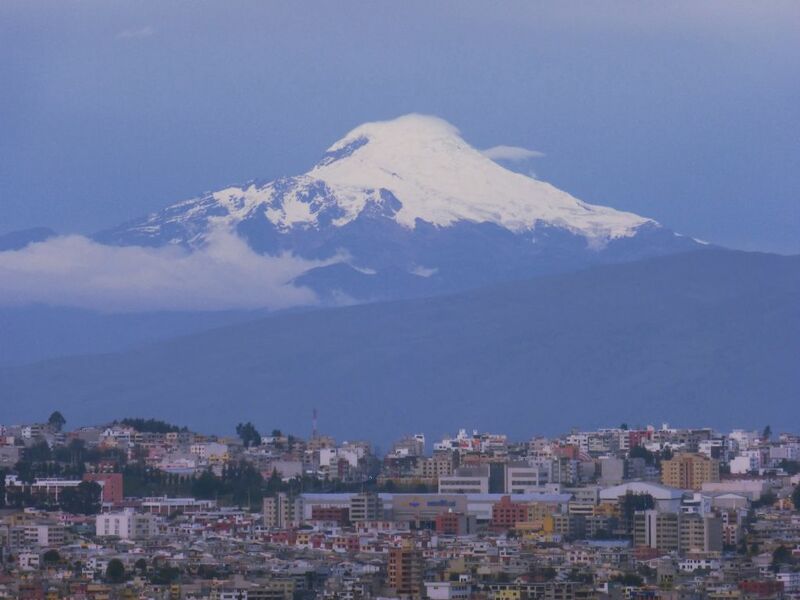 Quito actually logs in as the second highest capital City in the world at 9350 feet above sea level. 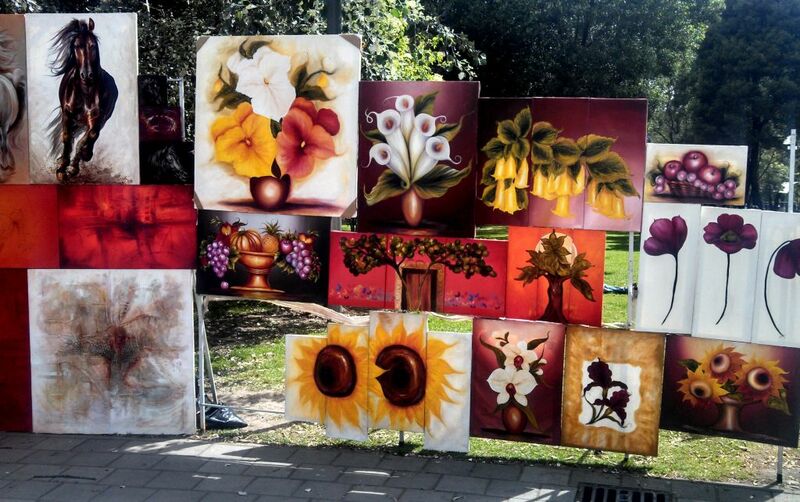 Enter the weekend street market – The Parque El Ejido Art Fair. It happens every weekend and features crafts brought in from the North by indigenous artists. Wandering through the stalls, enjoying the art and practicing our Spanish with the artists was just the break that we needed. This was a wonderful Sunday remedy for our rattled brains and allowed us to refocus and plan on some other day trips out of the city to help balance our experience. We decided a day trip to Banos (known for its thermal springs and adventure sports would be just the thing. Or maybe not . . . sigh . . . Thanks for the post, Jen! Those painted trays are amazing! Stay safe and away from volcanoes, you two. Oh wow, you really can’t escape that mountain view! Vancouver has similar views, with snow-capped mountains all around, but nothing that imposing. We’ll have to add Vancouver to the travel plan! Wow the volcano was interesting. How far away from it were you? I hope everything is fine. 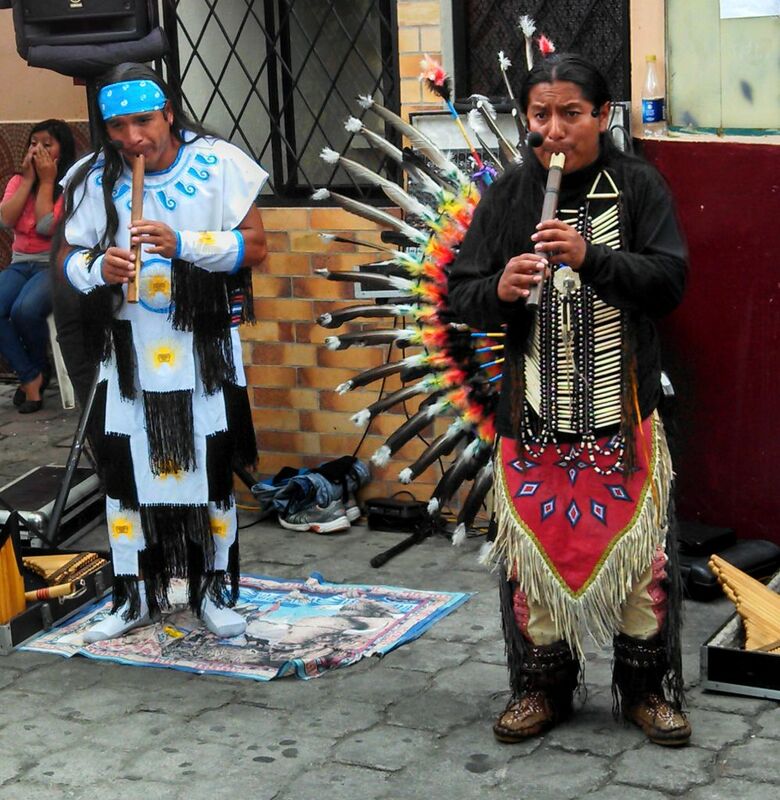 love the photos from Quito and the markets there. I really need to visit someday. Hope you get out of Quito post haste. Not a good place. Pictures are beautiful. Thanks for sharing. Be safe! Quito has done quite a bit to clean up its act, but there are certainly places that we haven’t visited (day or night). Our apartment here has a great view of the City but its in a quiet residential area. No worries! You are so right – the view like that one in your first photo is just breathtaking (but the last is not bad either 🙂 ). Love all the colors at the market. I’ve read that actually no soccer team can beat Ecuador when playing at home stadium in Quito, ’cause of its high altitude. 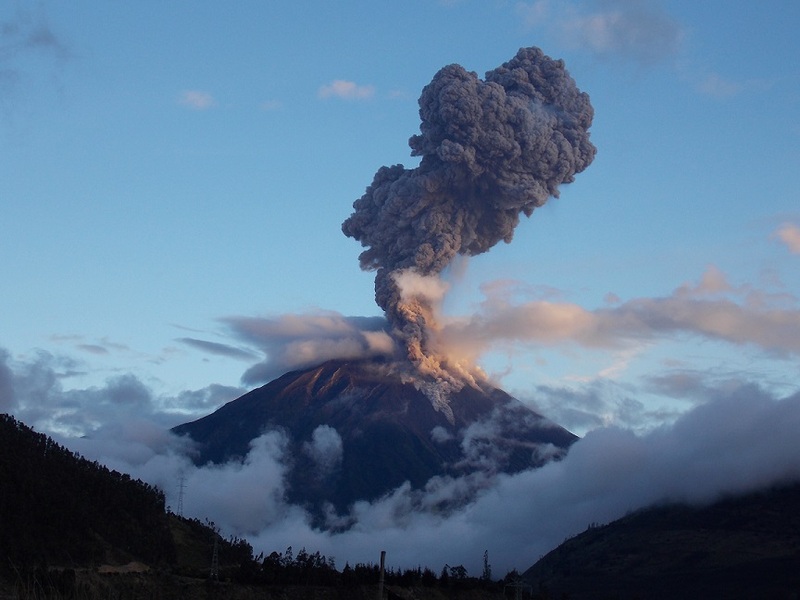 Ecuadorians are used to these conditions and simply have more energy than anybody else.